Becoming organized has never been more important especially at this fast paced, multi-tasking life. The overwhelming everyday schedules and the occasional impromptu events seems more manageable, giving you more control on how to handle your time and bringing you closer to your goals. It leads to more productivity, less stress and more time for yourself and your family. Start by thinking about the different aspects of your life and separating them by “Tabs” in Daily Notes. Tabs are like folders, where you can organize your notes, photos, sketches, PDFs and even audio recordings. 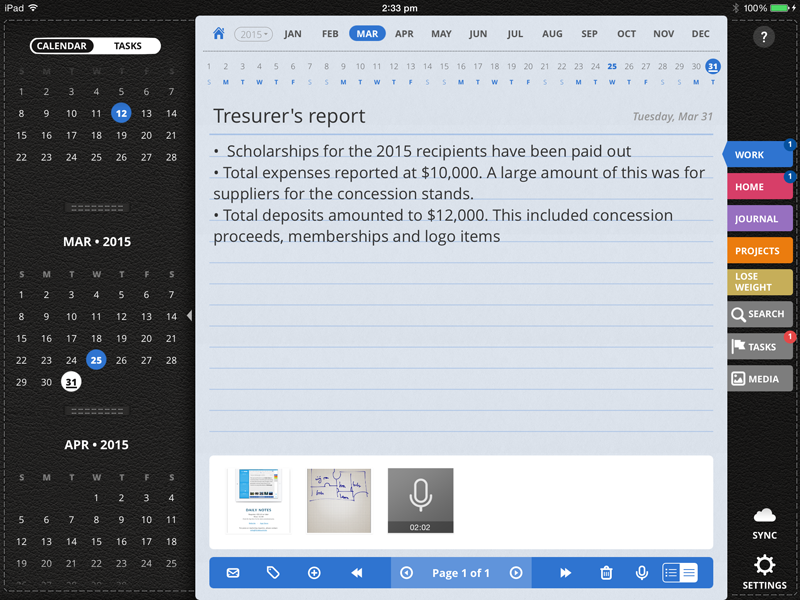 Create a Tab for work, where you can place all your meeting notes, project documents and client meeting recordings. 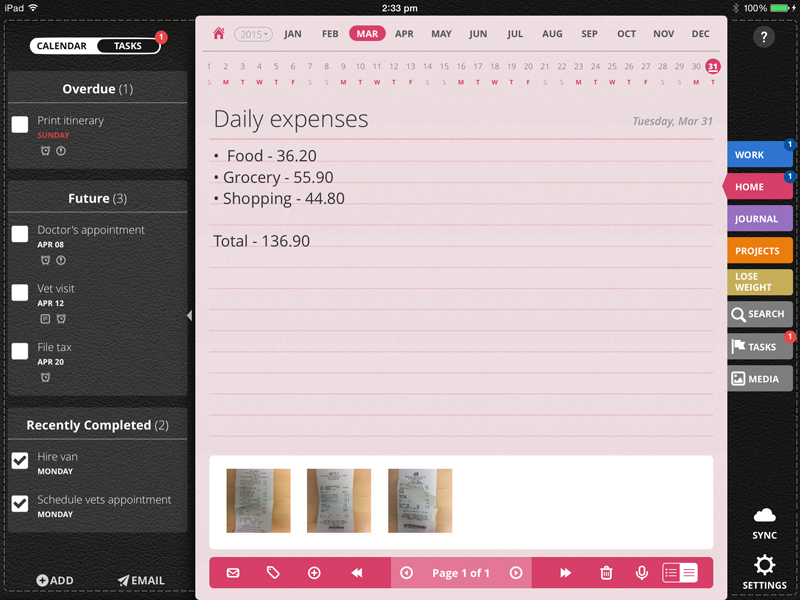 Add a second Tab for your expenses, where you can take pictures of your bills/receipts and take note of your expenses each day. Create a third personal Tab, solely as a journal/ diary to jot down your daily memories and experiences. Add a fourth Tab for your cooking projects, your old and new found recipes. And so on and so forth. Use your imagination to come up with an optimal list of tabs that best suit your life. Remember, there is noting too much or too little — you can create as many tabs as you wish. Time is precious and dilly dallying on tasks can set you back. Better set up a your weekly, monthly and even yearly appointments ahead. Note down your doctor’s appointment, vet visits, family outings and even personal hobbies in the Daily Notes’s calendar. Create to-do lists and set due dates and priority levels in Daily Notes, even categorizing them into folders or “Tabs” in the system. 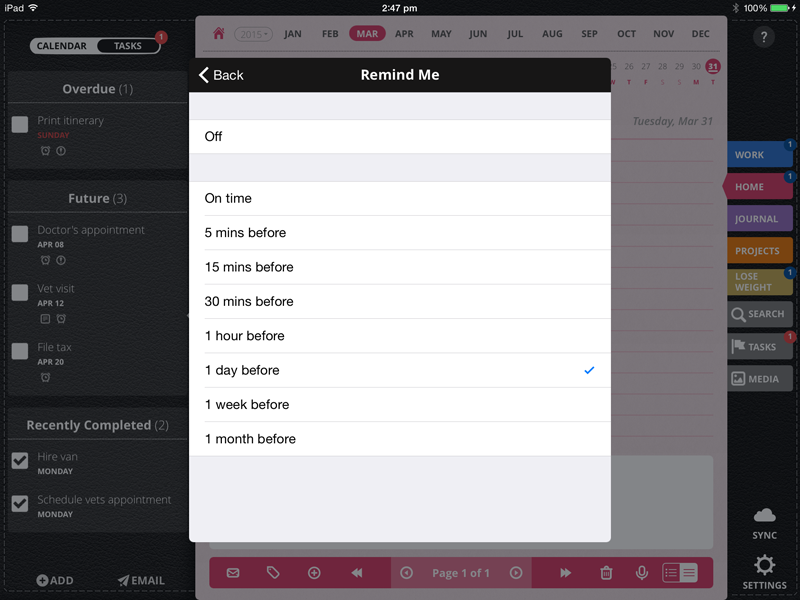 Create reminders ahead of time to help you remember about your appointments. Schedule your bill payment, insurance policy update even medicine intake and more. 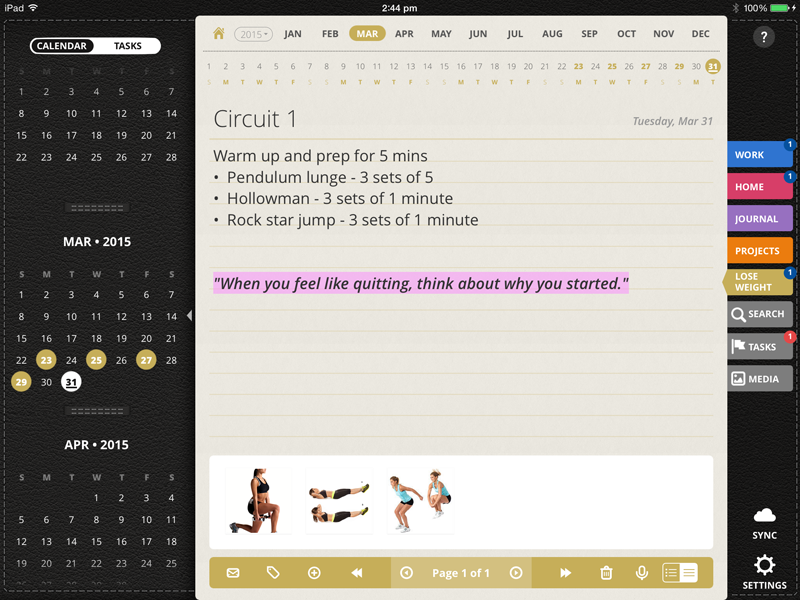 Then set up your exercise routine and schedule right in Daily Notes. Note down what sort of exercise you need to do, what exercise machine you have to use, how many minutes or hours do you need to do it. Note down also your meals, create recipes, take down your calorie intake. Read up on inspirational materials, motivational quotes and save all of those in Daily Notes. Document your progress everyday, every week or even monthly and see the results. Set aside a few minutes of your time in planning your day in the morning and then reviewing and reflecting on your activities at night right on Daily Notes. Make it a part of your routine and take control of your time for the betterment of your life.